Shirley Anita St. Hill Chisholm (November 30, 1924-January 1, 2005) was an American politician, educator, and author. She was a Congresswoman, representing New York’s 12th Congressional District for seven terms from 1969 to 1983. In 1968, she became the first African-American woman elected to Congress. On January 25, 1972, she became the first major-party black candidate for President of the United States and the first woman to run for the Democratic presidential nomination. 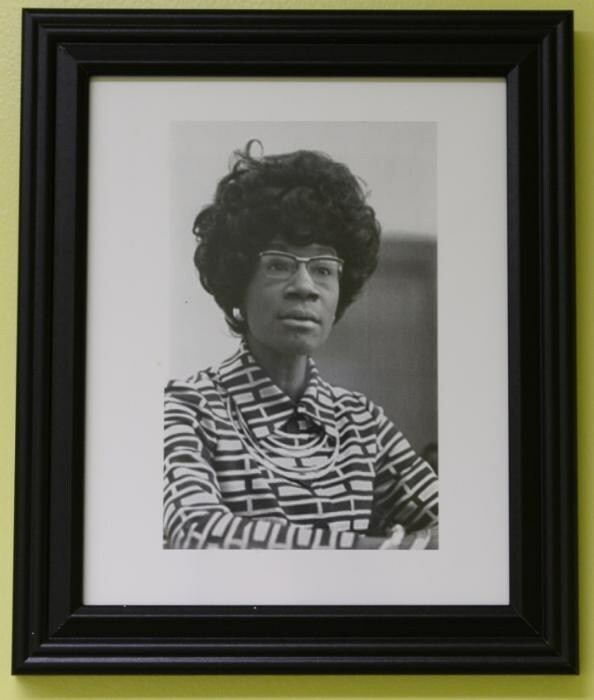 Chisholm is an alumna of Girls’ High School; she earned her BA from Brooklyn College in 1946 and later earned her MA from Columbia University in elementary education in 1952. She was a member of the Delta Sigma Theta Sorority. Lena Mary Calhoun Horne (June 30, 1917 – May 9, 2010) was an American singer, actress, civil rights activist and dancer. She was born in the Bedford-Stuyvesant neighborhood of Brooklyn. Reported to be descended from the John C. Calhoun family, both sides of her family were a mixture of European American, Native American, and African-American descent, and belonged to the upper stratum of middle-class, well-educated blacks, some of whom were mixed race. She attended Girls High School, an all-girls public high school in Brooklyn that has since become Boys and Girls High School. Isaac Asimov (January 2, 1920 – April 6, 1992) was an American author and professor of biochemistry at Boston University, best known for his works of science fiction and for his popular science books. Asimov was one of the most prolific writers of all time, having written or edited more than 500 books and an estimated 90,000 letters and postcards. Asimov attended New York City public schools, including Boys High School, in Brooklyn, New York. Graduating at 15, he went on to Seth Low Junior College, a branch of Columbia University in Brooklyn designed to absorb some of the Jewish and Italian-American students who applied to Columbia College, then the institution’s primary undergraduate school for men with quotas on the number of admissions from those ethnic groups.